Finding clients can be a never-ending challenge for new consultants. However, there are methods that have a higher return on investment for the cost and the effort compared to others. And no, none of them involve cold calling. 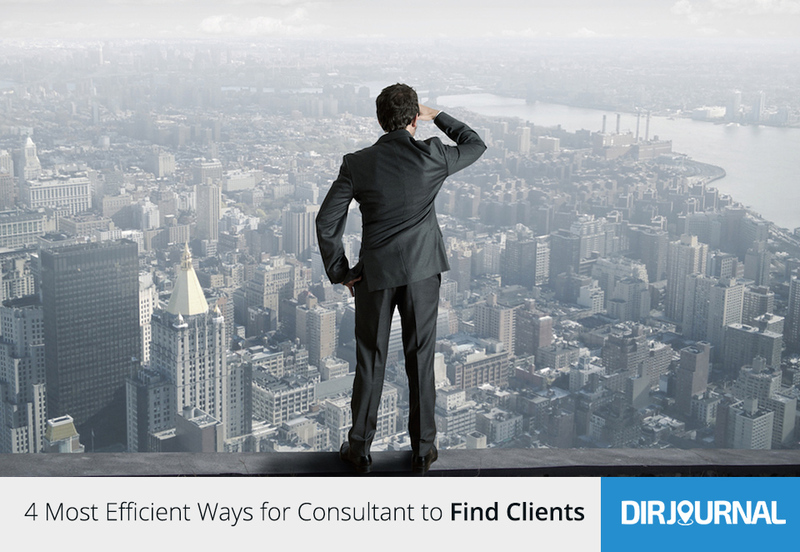 Here are the four most efficient ways for consultants to find clients. Giving a few seminars is a good way to attract clients, especially if you offer them advice or overview on a topic for free. This tactic is used by newer millionaire entrepreneurs like Sam Ovens, as mentioned in an article by The Epoch Times. In this article about Sam Ovens, he talks about teaching courses over Skype to earn an income before putting his courses online for paying customers to watch. His free one hour training course is a lead-in to the paid online training program. With seminars, you’ll attract people who need information on the subject and will become impressed by your knowledge on the subject. You can also use these seminars as the basis of building your perceived expertise, regardless of how many people attend. The book “The Four Hour Workweek” outright says you can become an expert by reading the top 6 books on a subject, coming up with a seminar, teaching a few of them to show the world that you’re an expert and then selling a newsletter or book on your own. Use sign up lists at these seminars to create your own marketing email list. You could keep these interested parties involved by sending them newsletters. Remember that your newsletter can be built off of snippets of new blogs with links to those blog posts and older content re-purposed for your newest newsletter; the side benefit of this approach is that you generate traffic to your latest content that improves search engine rankings while the older content is read by new readers without being flagged as duplicate content. While few potential clients of consultants use a physical phone book anymore, they are still researching potential consultants through sites like business directories. Use a business directory to increase conversions simply by claiming your business listing, ensuring the NAP (name, address, phone number) information is correct, adding a link to your website and making the business directory entry as professional and attractive as possible. There are cases where having a featured business listing in the business directory is more effective at bringing in clients than search engine marketing. Conversely, you will lose out on business if your business directory entry has the incorrect categorization or contact information. Forget cold calling. A cheap marketing method to drum up clients is direct mail, marketing brochures or fliers sent to a targeted prospect list. Why recommend this over cold calling? First, it uses relatively little of your time once you craft the marketing letter (or hire someone else to write one), and you can customize it using customer relationship management software. Second, the marketing letter may be circulated among team members at the company until it reaches the right person. Third, if you enclose a usable gift like magnets, calendars or other items that will sit on someone’s desk for a while, the marketing message itself will sink in until they decide to call you. Referrals have several benefits over other types of marketing. First, personal referrals are among the most likely marketing methods to work. Second, if you incentivize your existing clients to give referrals and it doesn’t work, it costs you nothing. Third, incentives like discounts on future services increase the odds that clients will come back to you, generating a repeat customer. Business directory listings, seminars, referrals and social media postings are just a few of the ways that you can make a name for yourself in the consulting business and start gathering clients. Make sure that you use all the tools at your disposal if you want to steadily increase your client base.